The province has approved the creation of three new municipalities, according to a news release. The Island Regulatory and Appeals Commission had recommended the creation of Three Rivers, North Shore and Central Prince. The province has approved the creation of three new municipalities — Three Rivers, North Shore and Central Prince — after a recommendation from the Island Regulatory and Appeals Commission (IRAC) according to a news release. Cabinet met in Georgetown Tuesday and approved IRAC's recommendations. 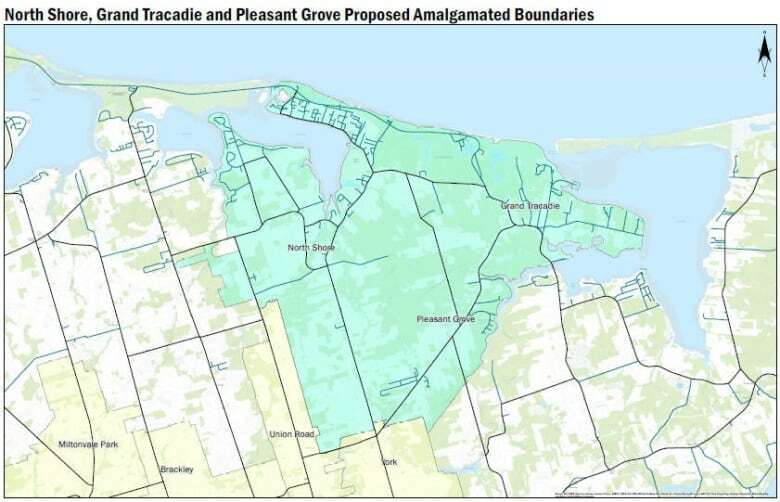 "I want to commend the outstanding efforts made by community leaders and residents to bring these amalgamation proposals forward," Communities, Land and Environment Minister Richard Brown said, in a release. The new municipality of Three Rivers encompasses the boundaries of the Montague, Georgetown and Cardigan fire departments. The original proposal for Three Rivers included the unincorporated communities of Kinross, Bellevue, Grandview, Riverton, Martinvale, Corraville, Cardross, and Glenfanning, but that proposal was amended to exclude those communities. "I see this new municipality as a great opportunity to ensure a strong future for the entire region," Peggy Coffin, an interim member of the Three Rivers council, said in the release. "I have every confidence that the incoming elected council will work hard to bring all of the residents in our new municipality together." Although IRAC had recommended a six-member council, the community's municipal council will be made up of 12 councillors and a mayor. In the meantime, an interim council will be created made up of seven existing mayors, representatives of the unincorporated areas and an interim mayor. 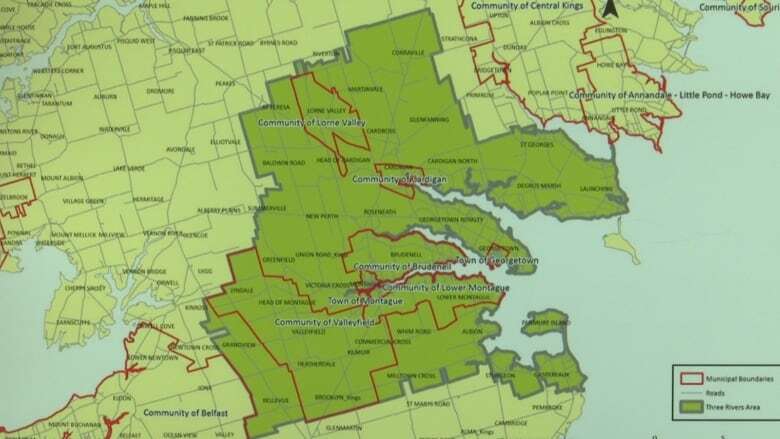 Some people living in unincorporated areas have been fighting from being included in the new amalgamated areas. Lucy Robbins is not happy, despite her unincorporated community of Martinvale being excluded from the new Three Rivers Municipality at this time. "Everybody is talking about amalgamation but the issue is not amalgamation," Robbins said. "The issue is the willful annexation of all of the unincorporated areas with no voice." "The only way that this is going to work is if they change it so that when there is going to be an annexation, the people who are being annexed have a full referendum that is binding." The Rural Municipality of North Shore will include North Shore, Grand Tracadie and Pleasant Grove, and the Rural Municipality of Central Prince will include the communities of Ellerslie-Bideford and Lady Slipper. "I am pleased with the restructuring and see some exciting opportunities ahead for the municipality," said Gordon Ellis of the Rural Municipality of North Shore, in the release. "We feel this is the best decision moving forward and certainly are open to other areas joining us in the future," said Rodd Millar from the Rural Municipality of Central Prince in the release. Elections for the new councils will happen with other municipal elections across the province Nov. 5. '1st real killing frost' may have set cold records on P.E.I.